Here is my January online income report. I am sharing how I make money online from this blog and my business. I really ended 2017 on a high note! I was excited to start January as I felt ready to continue the momentum I had built in 2017 and keep it going into 2018. Once noticeable difference going into January was that I felt well-rested and wasn't experiencing any burnout. For the past couple of Decembers, I usually ended the year exhausted, stressed out and overworked! Instead of feeling refreshed, I would start January on a low note. Because I spent the second half of the year really focusing on working on my blog and business Monday to Friday, I enjoyed my weekends off and really embraced work-life balance. This wasn't always as easy as it sounded! As a business owner, it's easy to have the mentality of ‘if I don't work, I don't get paid' but that's simply not the case. But I've spent so much of my time growing my blog and business to embrace passive income, that I really could enjoy 99% of my evenings and weekends off and not stress about things. My first income report is still incredibly relevant! If you are a new blogger, you should definitely read my first income report to help you make money online. I have now been publishing income reports for two and a half years. Time is flying by and I still think it's crazy that I am doing this! One tip that has really helped me during the workday is taking mini breaks. In 2015, I made $0. My blog was brand new! $17 Quickbooks In 2017, I used the Quickbooks Self-Employed version and it has worked out great as a new business owner. The self-employed version is perfect for someone who is a sole-proprietor or a single person LLC. In 2018, I've upgraded to a more advanced Quickbooks program! Bluehost – this is the hosting company I started with in 2015 and still use today! Tailwind – this is the scheduler I use when I do all my pinning on Pinterest. It’s my favorite scheduler I use for myself, recommend to clients and for all my students. Teachable – this is the platform where my courses are located. If you are thinking about offering or selling a course, Teachable has a great platform. SamCart – this is the checkout page I use to sell my courses and products, as well as pay out affiliates. It's a really smooth platform and has so many features that I utilize on a daily basis. SamCart allows me to view my sales, create reports, etc. It's a must have for my business. Drip – this is my email provider! LeadPages – I use LeadPages to create my email opt-ins and create landing pages. There is a ‘drag and drop' feature that makes it super easy to design and create pages. PostPlanner – this is how I schedule my social media posts to Facebook! Zapier – this is a magical tool that will connect all the different platforms and tools together so it's a seamless, easy experience for a reader or customer. These are called ‘zaps' because they combine tasks when purchasing products or enrolling in a course! There is pretty much a zap for anything for blogs and online businesses. In 2017 and moving forward, I also decided to work with a local accounting firm. With my blog and business growing so much, it made sense to work with a professional. There were so many different aspects I needed help with to make the smartest financial decisions. Almost every month, I get together with my accountant and we cover a different aspect of my business I should be thinking about long term. This includes things like various retirement accounts, reviewing my health insurance and HSA account, investing, etc. Because my accountant handles my personal things as well, it's been wonderful to receive help with my rental home I have back in Florida and other personal expenses. I've also started spending more and experimenting with Facebook ads. This is a brand new frontier for me to understand! While I feel 100% confident using Pinterest, Facebook is still something of a mystery to me. In January I focused on growing my email list and increasing my affiliate marketing sales. This is still a learning process, but I'm excited to keep testing and trying things out. I'm also not shy about letting you know that I spend money on Facebook ads. While every blogger is different, I think it would be misleading to not tell you I am spending money on Facebook ads. January's efforts lead to an increase in traffic, email subscribers and an increase in revenue! Right now, my main source of traffic is still Pinterest, followed my Google and then Facebook! Finally, this doesn't include things like health insurance or taxes. I was putting 30% aside each month, but now I'm adjusted that to between 30-35% moving forward. I also have to plan for things like savings and retirement! My online income reports are predictable to me, but to most people they look like they really fluctuate! I know this doesn't quite make sense, but it does for me. My monthly online income reports definitely vary in terms of how much I make. Some months it looks like I'm having an amazing month, while other months it looks like there's been quite a decrease in my income. This is based on a few factors. One of my courses is only open a few times a year. This means that there are a few months out of the year where I will see a major spike in traffic with income. This also means more expenses, such as splitting income with my business partner and paying out affiliates. When it's launch time, the other aspect of my business is negatively impacted. Specifically, affiliate income tends to decrease when I'm in launch mode because my efforts have shifted. Income doesn't always have to increase each month – this isn't a contest. This is a business! I need to figure out a way to do the first two factors at the same time. This is something I have to improve, and I'm currently working on getting better at improving my strategy. I really don't mind that my monthly income will be at a certain point one month, then decrease (sometimes by half!) the following month. This is the nature of how I run my blog and business and it works for me, but I still need to get better at this! 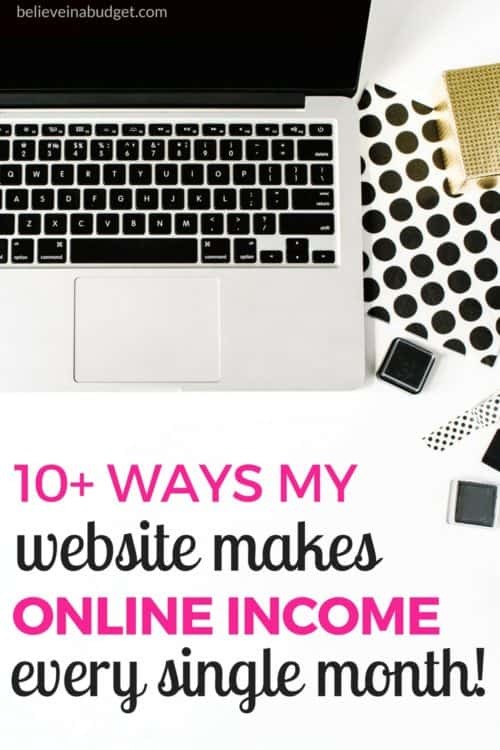 When I first started out as a blogger, I was super focused on monthly income. This was because I wanted to quit my day job and support myself through my blog and online business, which makes total sense and the correct way of thinking. It was basically survival mode! Everything was geared around making money and saving money. When I started my blog, I was still at my day job. Now don't get me wrong – I had a great paying day job in my career field that I enjoyed! But I wanted to work for myself and have my own business. When I launched my blog in January 2015, I already had a date in my head where I wanted to be able to leave my day job and work for myself, which was October 2015. In order to make this happen, I gave everything I had to blogging in my spare time. I also saved like a crazy person in that ten month period because I was quitting my job no matter what to pursue blogging full time, and needed to have an emergency fund built up just incase my blog wasn't growing at the speed I needed it to. That's how serious and motivated I was! In my first full year of blogging of 2016, I made around $91,000. As I got further into 2016, my confidence grew and I knew I was slowly leaving the feeling of being in survival mode. At the start of 2017, I started to transition into thrive mode. This meant I knew my blog and online business was sustainable. Going from survival mode to thrive mode is mind blowing. It's a lot of emotions and confidence building. I felt like a true business woman! Towards the middle of 2017, my mindset shifted. I stopped thinking about earning income month to month. I had been caught up in figuring out how much I could make in a single month. Then when the first of the new month rolled around, I acted like I had zero dollars and was starting from scratch. That was the wrong way of thinking! I wasn't starting from scratch. My blog and online business didn't reset at zero each month. Yes, it was a new month but my blog wasn't new! My business wasn't new either. I love focusing on yearly results and what I want to achieve. My income is steady enough that I know my monthly income can fluctuate and I can afford to look at the long term picture. This kind of thinking has made all the difference! Now don't get me wrong, it's taken me a few years to get to this point. I started my blog in January 2015 and wasn't able to really change to this strategy until mid 2017. So if you are a new blogger, be patient. Your turn will come! But it's definitely something for you to think about as you grow your blog and online business! Where do you see yourself in a couple of years? Where does my affiliate income come from? I don't really break this down in the above online income report. I don't have a ton of affiliate resources! I only promote products, courses or services that I have personally used or believe in 100%. This keeps my affiliate list pretty small for the most part! My affiliate income comes from two really different audiences on this website. Half of my audience is people looking to save money, budget, get started side hustling and are here for the personal finance tips. This overlaps some with the other part of my audience. The other half of my audience are fellow bloggers (new or experienced! ), Pinterest users, online entrepreneurs and side hustlers looking to make money! Many of my readers start out in one category, but grow and morph into the other category. This is really cool to watch because many readers email me to let me know what they are doing to save money or that they have started a side hustle! Here's a list of where I earn my affiliate income.You can also check out my recommendations page as well! This was the first investment I made in my blog and it was one of my only expenses in my first year of blogging. It's totally critical you own your website. To learn how to start a blog, getting blogging name ideas and tons of tips, you can learn more about how to start a blog here. Restored 316 Designs – they have really great feminine themes! After you create your website with Bluehost, you will need a theme. This was my go-to when I first started out! Tailwind – the premier scheduling tool for pinning your website pages and posts to Pinterest! ConvertKit or Drip – both are great platforms for creating your email list! LeadPages – great for growing your email list! Teachable – this is the perfect platform for creating your course! Pinterest 20 Step Workbook – this workbook crushes it because it allows users to take action ASAP and get instant results. 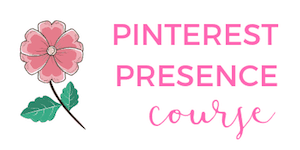 Pinterest Presence – the DIY course to teach you how to drive traffic to your website with Pinterest training. Ibotta – This is still the best way I save money at the grocery store and the big box stores! Surveys – I took my first survey nearly 15 years ago! 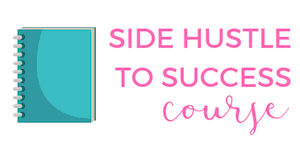 Side Hustle to Success course – in-depth reading that dive deep into mystery shopping, step-by-step instructions on how to use various cell phone apps to make money, and then higher level ways to make money. Become a Pinterest VA TODAY! – how to specialize as an expert Pinterest virtual assistant. This is one of the hottest niches out there and there is not enough Pinterest VAs to keep up with the demand. This is my specialty and I love teaching others how to start and grow a Pinterest VA business with my course partner. 30 Days or Less to Virtual Assistant Success – how to make money online as a freelancer working for other blogs, businesses or brands! Elite Blog Academy – all in one, overall blogging strategy. Making Sense of Affiliate Marketing – how to make money from your blog. Facebook Side Hustle Course – how to work as an online Facebook expert. So that's pretty much 90% of my affiliate list! I might be forgetting something (??) but for the most part, the above list is what I believe in first, and then feel confident recommending these resources to you guys! Do you have any questions about my online income report? I have been publishing my online income reports since I earned my first dollar online 6 months ago – I hope to follow your trajectory! Thanks! Stick with it – you got this! Another quick question, as a new blogger trying to fill out the W-9 form upon applying to say Amazon Affiliates or ShareASale, my business name is the same as my actual name right? Since I believe I can’t use my blog name I made up seeing as it’s not a registered LLC/official legal brand. Please advise! Helloo!!! I would start with Pinterest – it’s always been my #1 traffic converter. 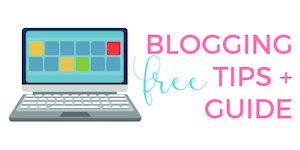 Download the freebie popup – it’s geared around Pinterest tips. 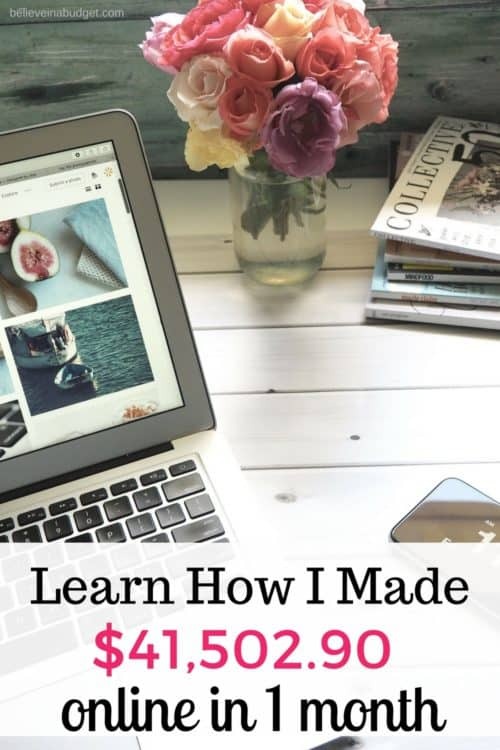 You can also check out this post and learn how I grew my traffic with Pinterest. Awesome income report! Thank you for sharing, this is very inspiring and helpful! First off…thank you for doing your income reports. They’re super inspiring as well as helpful. May I just say something about FB ads?! Why oh why wouldn’t anyone want to do them, especially once they’re making money? I mean aside from having to learn a whole new thing (haha) the ads simply add to whatever you already have going. When I first started doing sponsored Pinterest pins, peeps said “but you have to pay for those.” Yes, you pay in money (like FB ads) but you pay in TIME with other methods. There is always a cost to marketing your biz. Either time or money. I think it’s great you’re mixing it up. What type of Facebook ads are you running? I’ve been experimenting a little bit with different types of Facebook ads and different strategies. I want to give lead ads a shot. I do spend more on business manager ads vs doing my own boosted posts.Once you spend a certain amount, a FB ad expert will reach out to you to help with your ads, give you suggestions, etc. Even with my FB ad manager, I still really like Bobby’s advice (he has a FB course now) – he helped me get everything set up a while ago, worked on getting low conversion rates, etc. GOOD LUCK! !